Strength: Comes in packages with 150 mg of THC. 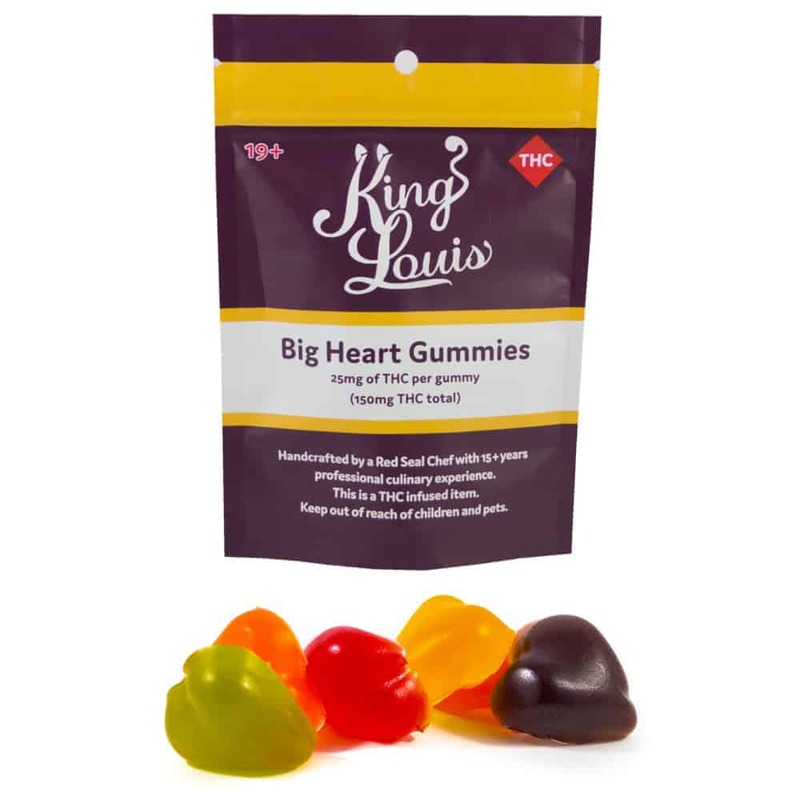 17 reviews for "King Louis – Big Heart Gummies -150 mg"
They are worth it if you have trouble relaxing enough you can sleep, nice taste soft and chewy. I’m a fan of the two-bite brownies but these are my new favourite from King Louie! The gummies are tasty and it’s easy to control the dose. Would recommend to newbies and experienced connoisseurs. They really get you in the zone!! We really liked them! Best part is I find it hard to wind down and chill….these candies made it easy. Was only able to handle 1/2 a gummy. Good taste and convient and discrete. Awesome product has a hint of weed taste but a half was a perfect feel. Quickly becoming a regular order ! Awesome taste and excellent results! If you are looking for a relaxing high these gummies are the way to go! Let this great experience creep on slowly as edibles will do. Be careful as they are fairly potent candies! This goes especially for low tolerance dabblers. These are great! Easy to control how much you are dosing. I’d recommend that lea experienced smokers start with just half. A whole one is pretty strong but super amazing! Great value and taste. (Does has a mild marijuana taste by not strong. Love these gummies! Nice and relaxing, and fast acting too. They did not disappoint, I will definitely reorder.